It doesn’t seem like much, but most of us women own a precious item often buried deep within the recesses of our pocketbooks. And often adorning our vanities and walls as decorative accessories. 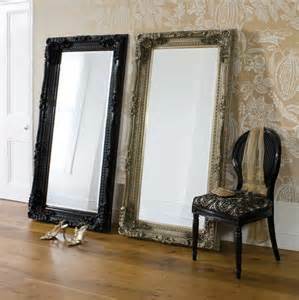 In our homes, it would be interesting to actually count the number of mirrors we possess. It might surprise us to realize which one we have more of…mirrors or Bibles…although both reflect our current condition. One the state of outward beauty—the other a state of inward beauty—or lack of it. Today in reading the account of the Tabernacle blueprint instructions of Exodus 38:8, the women presented their mirrors to be used in the creation of tabernacle utensils. Utensils used for cleansing were to be formed out of bronze. The bronze mirrors offered were melted down and re-fashioned to become vessels used in the sanctuary. What do we have today that can be melted down and re-fashioned for use in God’s service? Perhaps the mirror represents an attitude needing refining…or time or priority needing God’s adjustment. What do you have that might be reserved for “another purpose,” but placed in God’s hands can be refined and refurbished? Might it be our very lives? Thank you for this. I signed up for them to be delivered to my inbox I have just seen them on Facebook. I am struggling so hard right now. I pray everyday, but of course now that my life is in shambles I pray 20 times a day. I feel so guilty like I only come to God when something bad is happening. I am trying so hard to find something good other than my boys and my family to be thankful for. Well I think I found another reason. These postings. Thank you so much for reaching out to people like me. I hope to change, I pray for a better different life for me and my boys. Carrie, remember this….we don’t change…we surrender… and God’s presence in our lives changes us. So, we continue to seek God and submit our will to His. I encourage you to find one or two verses in His Word and focus on them daily…all day. One of the good ones for this is Jeremiah 29:11.